신륵사에 세워져 있는 비로, 극락보전 서쪽 언덕에 있었던 대장각(불경을 만들어 보관하던 곳)의 조성에 관한 여러 가지 기록을 적고 있다. 길쭉한 사각형의 바닥돌 위에 받침돌을 놓고, 그 위로 비몸을 세운 후 지붕돌을 얹은 모습으로, 비몸 양 옆에 돌기둥을 세워 비몸을 단단히 지탱하도록 하고 있다. 이렇듯 비몸 양 옆에 돌기둥을 세우는 형식은 고려 후기에 이르러 보이는 현상으로 주목되는 부분이다. 권주(權鑄 )의 글씨로 새긴 비문은 비몸이 크게 파손되어 전체의 내용을 파악할 수는 없다. 비문의 뒷면에는 불경(경률론)을 만들고 비석을 세우는데 참여한 사람들의 이름을 열거하고 있다. 비를 세운 시기는 고려 우왕 9년(1383)이다. 거북 모양의 비받침, 용의 머리가 새겨진 비머리가 고려 후기로 오면서 사각형 받침과 지붕 모양의 머릿돌로 간략화되는데, 이 비도 그러한 예이다. This memorial stone is inscribed with a history of a sutra library called Daejanggak Hall which was once part of the Silleuksa Temple. 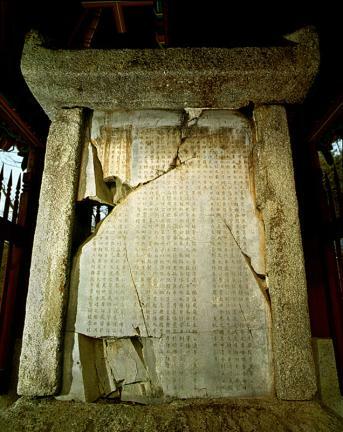 With the inscribed slab set in a groove cut across the stone pedestal and supported on each side by a stone pillar, this memorial stone is of a style popular during the late Goryeo Dynasty. It was the time when tortoise-shaped pedestals and capstones carved with dragons of the earlier period began to be replaced by simple square pedestals and the roof-shaped capstones. This memorial stone shows the elements of the latter. The inscription says that Yi Saek, a famous Neo-Confucian scholar, helped by the followers of Naong, a revered Buddhist monk at the time, wrote a thesis series called Gyeongnyullon (On Sutras and Laws) in memory of his deceased parents, and housed them in the library. 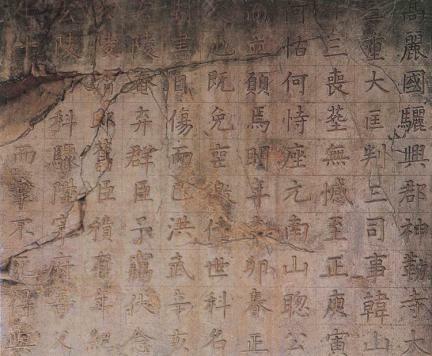 The inscription, however, which is said to have been incised by a calligrapher named Gwon Ju in the printed style, is illegible in many places. 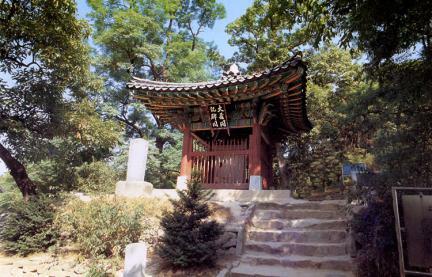 Historians are not sure of the date of its construction, but, according to Haedonggeumseogwon (Epigraphs of Korea), it is assumed to have been built in 1383 (9th year of King U) of the Goryeo Dynasty.